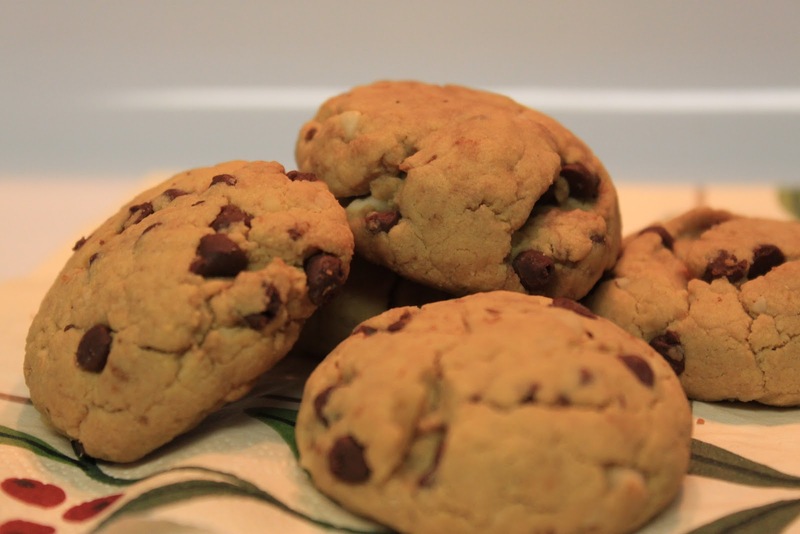 Chocolate chip cookies are fairly common. We have literally grown up on them…..had them with tea/coffee, stole them from the cookie jar, sometimes shared them but mostly ate alone! Chocolate chip cookies were way up on my baking wish list. But, unbelievable as it may sound, I could not find chocolate chips in Delhi. So I tried other options (Candy Cookies, No Bake Peanut Butter Cookies, Chocolate Shortbread etc. )……Last Easter, when I baked the candy cookies, the husband brought back the long lost memories and demanded I bake a batch for him, before he decides to go on a Diet, yet again (well… that’s a seperate story.) So bringing my focus back in the cookies, here’s my version. Try it….I am confident you will end up with warm, fudgy cookies that are ummmm so irresistable! !